Blood on the Tracks: The Life and Times of S. Brian Willson by S. Brian Willson. 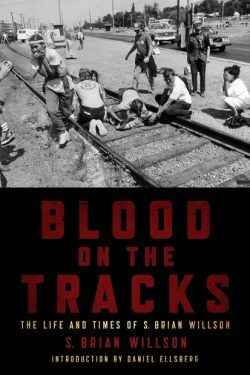 At times, Blood on the Tracks reads like Howard Zinn’s A People’s History of the United States. There’s a lot of tangential material woven into the narrative and Willson doesn’t mind departing from the timeline if there is something on the periphery of his experience or his education that he feels people should know about. There’s an attempt at psychohistory as well, but this thread is less developed than the personal memoir and historical parts. In terms of subject matter, there are at least three books here: one on Viet Nam, one on Latin America, and one on sustainable living. The event that cauterizes all the parts is Willson’s encounter with a U.S. Navy munitions train in Concord, California on September 1, 1987. Willson and two other men were sitting on the tracks in a public right-of-way to protest the shipment of arms to Central America and other places around the world including Asia. Willson’s protest at the Concord Naval Weapon’s Station was textbook civil disobedience. He had read his Martin Luther King, Jr., his Gandhi, and his Thoreau. Willson had fully expected the train to stop. I had been following Willson’s campaign in the local newspapers and thought that we were in for a fairly predictable, drawn-out battle of wills. Willson would sit on the tracks — the Navy would remove him from the tracks; Willson would sit on the tracks — the Navy would remove him from the tracks. This would go on until some concessions were made or until the Navy had figured out a way to keep Willson and the other protestors off of the tracks. Never did I expect that the train would run over Brian Willson. What a shock it was to hear that the train hadn’t stopped. In fact, not only had the train not stopped, it had speeded up. Willson’s legs were a mass of pulp. There was no way to reattach the severed leg or to save the other one. Both legs had to be amputated below the knee. More shocking still was how quickly the story had faded from public consciousness. Soon it was like the whole thing had never happened. Brian Willson is one of the Beach Boys, isn’t he? Like Ron Kovic, Willson is savvy enough to understand that suffering can, in itself, be a form of activism. In order to pull this off, you have to have both innocence and will. Without innocence, the suffering becomes masochistic and only brings on further pain. Without will, there’s no arc to the suffering. In his book Power and Innocence, psychologist Rollo May makes an important distinction between innocence and pseudo-innocence. Innocence “is the preservation of childlike attitudes into maturity without sacrificing the realism of one’s perception of evil….” Pseudo-innocence, on the other hand, “is childishness rather than childlikeness” and leads to unconscious “complicity with evil.”* According to May, the United States is a pseudo-innocent country that has repeatedly invoked the “design of Providence” to rationalize genocide, slavery, the use of atomic bombs on largely civilian populations, and a host of other evils. What makes Brian Willson so effective as an activist is his innocence. He doesn’t expect to find blackened bodies of women and children on the battlefields of Viet Nam. Willson doesn’t expect that the U.S. Government will secretly fund arms shipments to mercenaries in Central America to kill poor farmers working in small village cooperatives. He doesn’t expect that a Navy munitions train will run him over. But once he sees the truth, Willson doesn’t shy away from it or pretend that the evil doesn’t exist. The other quality that Willson has in abundance is will. Like other activists before him, Willson has been consistently overmatched. In every single one of the causes that he has fought for, the other side has had most of the power and most of the resources. What they haven’t had is the right. Brian Willson’s had that and his life has an extraordinary rhetoric to it. As a young man, he goes off to Viet Nam a “Commie-hating, baseball-loving Baptist.” By bitter experience, he learns that there are no just wars — only justifications. He attempts to stop a Navy munitions train from making its run to protest the killing and maiming of poor farmers in Central America. He loses both his legs in the attempt. After an absurd legal battle in which he is countersued for causing distress to the train crew that ran him over, Willson wins a large civil suit and increases his activism. For three years, he travels around the world campaigning for human rights. 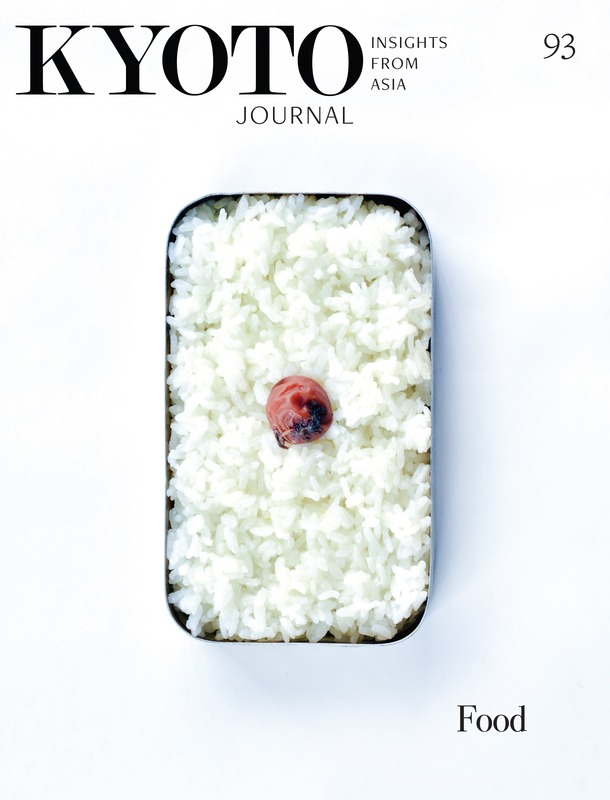 Sensing that it is the American Way of Life that is driving the U.S. imperial juggernaut, Willson begins to focus his attention on his own consumption patterns. He builds a solar house with a composting toilet and starts driving electric cars. Currently on a speaking tour to promote Blood on the Tracks, the now seventy-year-old Willson is transporting himself to the bookstores along the route by three-wheeled hand-cycle. Each day that Willson meets with people to discuss the events recounted in Blood on the Tracks, he uses the rhetoric of his life to raise the consciousness of those around him. Each day, Willson is outgunned by the Patriot Act and the banality of the mass media. And each day, Brian Willson prevails. W.W. Norton, 1972, p. 49.